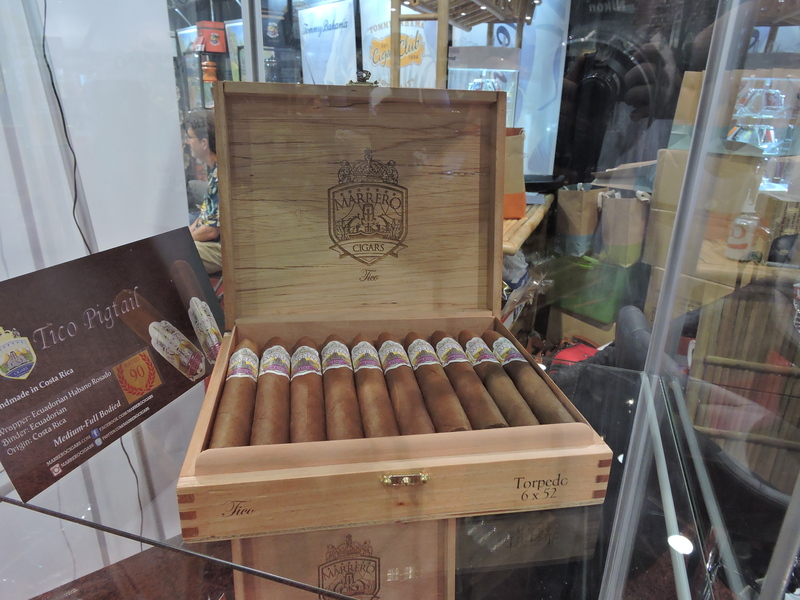 At the 2017 IPCPR Trade Show, Marrero Cigars launched a new 6 x 52 Torpedo offering into its Tico line. The new Tico Torpedo becomes the fourth vitola in the line. The Tico line consists of an Ecuadorian Habano Rosado wrapper over an Ecuadorian binder and undisclosed filler. Consistent with the rest of the line, the Tico Torpedo is packaged in 20-count boxes. Like all Marrero Cigars, the Tico line is produced in Costa Rica. Marrero Cigars was founded in 2014 by Joel Vazquez Marrero. Marrero produces all of his cigars in Costa Rica. The name “Tico” means “typical Costa Rican”.